It’s not every day that a brand new, never-before-seen type of window blind comes along. Duorol Blinds move strips of material in front of one another, allowing different amounts of light through depending on how you adjust them. They are minimalist yet stylish, with a wide range of colours available. 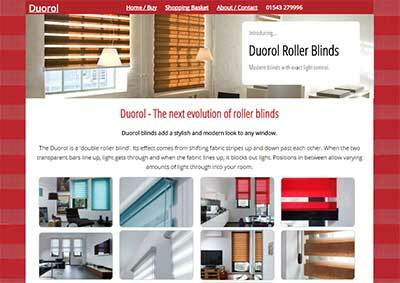 Please visit www.duorol.co.uk for more information and to buy online.